Easy Homemade Chocolate Milkshake Recipe! Home / Savings Blog Posts / How to Save Money / Do It Yourself / Easy Homemade Chocolate Milkshake Recipe! Do you ever have those moments when you crave a Chocolate Shake but don’t want to leave the house? Well check out this Easy Homemade Chocolate Milkshake Recipe! This Easy Homemade Chocolate Milkshake Recipe is perfect for saving money and eating at home. Plus, your kids will LOVE this special treat! All you need is 3 ingredients to make this Easy Homemade Chocolate Milkshake in Under 5 Minutes! 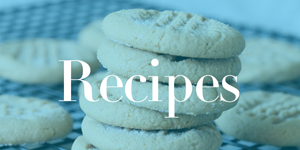 Plus, be sure to check out even more Easy Dessert Recipes for your family! Blend all ingredients in a blender, or allow the Ice Cream to melt slightly and blend with a fork in your glass. Plus, if you are making this recipe for one of your kids’ birthday parties or having a special get-together at your house, grab these fun Colored Striped Straws to help add decoration to your Chocolate Milkshake! Choose from many different colors of straws at Amazon for as low as $0.03 each! Receive Free Shipping with Amazon Prime, or Free Super Saver Shipping on orders of $35 or more! Also, be sure to check out this Copycat Starbucks Strawberries and Creme Frappuccino Recipe for another Easy Dessert Recipe your family can enjoy! Easy Italian Roasted Potatoes Recipe!